This charming, family-run hotel was designed by the architect Aldo Cosmacini in the 1960s and was opened by the Grivel family in 1971. 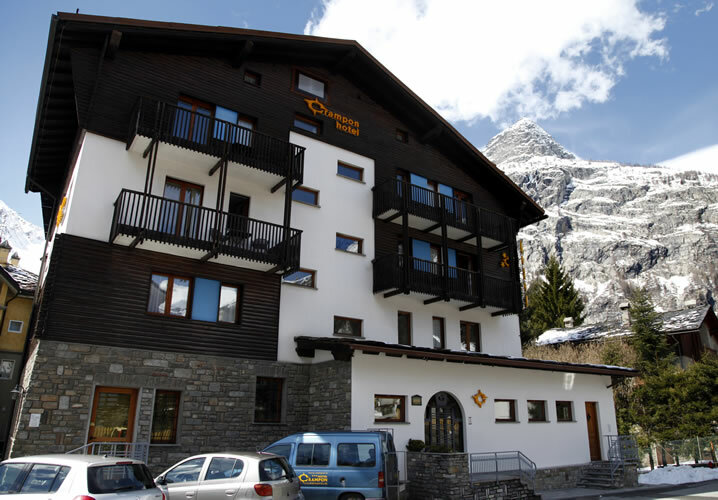 It is a charming hotel located in a quiet position on a small side street just off the main pedestrianised centre of Courmayeur. Shops, bars and restaurants can be reached on foot in just a few minutes. The rooms have satellite TV, telephone, hairdryer and safe. The bathrooms are beautifully tiled whilst each of the threefloors has its own bedroom colour scheme. 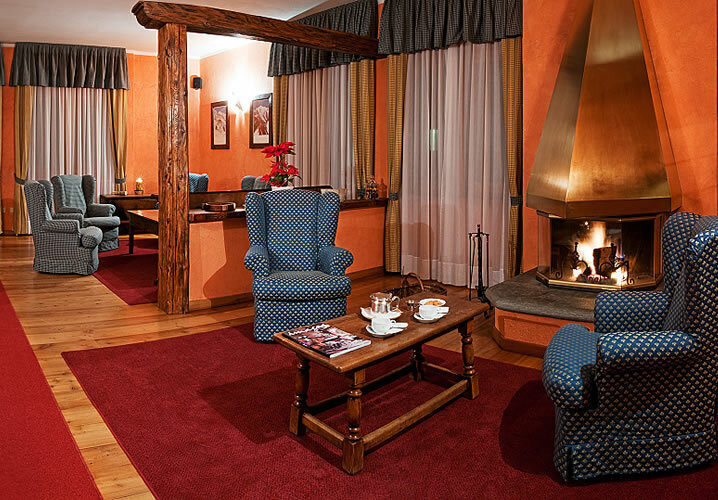 The hotel has a charming bar/lounge area (from which internet access is available at very favourable rates), a ski room (not that you'll really need it) and a traditionally alpine breakfast room where you'll be served a rich buffet breakfast. The more energetic will enjoy the walk to the cable car, but those with a little less energy can opt for the complimentary hotel minibus which runs on demand. 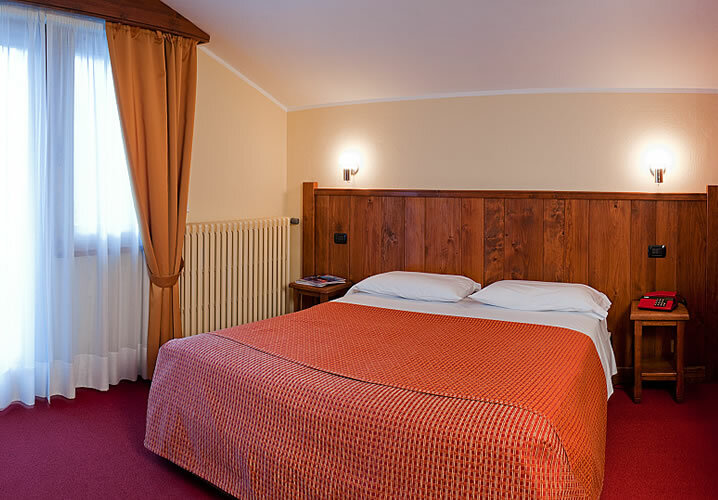 We offer the Crampon on a bed and breakfast basis, with a discount of up to 20% available at selected local restaurants. "The Hotel Crampon was perfect. They were so nice to us. The bar was lovely at the end of the day. The food at breakfast time was great and the rooms were spotless, a decent size, comfy and warm." "Hotel Crampon was honestly represented, relaxing, comfortable with unfailingly friendly and helpful staff throughout."